shuttles are a cheap and easy way of reaching your resort. we have a maximum wait time of 45 minutes upon arrival and our experienced drivers and staff work together to ensure smooth operation of this service, allowing sufficient time for the collection of guests. we operate on all arrival and departure flights at your destination airport, We dont do shuttle service for Domestic flights , we only give private transfer services for Domestic line customers. we provide clients with safe, reliable, comfortable transport in the hands of expert drivers, offering an excellent level of service and great value for money. how will you be met at the airport? our guide will meet you at the airport with a 'rain transfer' board which will also have your party name written on it. please call our service line during office hours 48 hours prior to your departure and we will advise you of your pick up time. failure to do so could result in a missed or delayed transfer. our company will receive up to date information with regard to your flight arrival time. we will be waiting for you at the airport until your flight lands. no need to worry about lengthy delays. if your travel plans should change after your form has been submitted you can contact us via email using the form supplied on our website, we will then send you confirmation of this. if you do not receive this confirmation within 48 hours please contact our office. your invoice will contain telephone numbers where you can contact us 24 hours a day in case of emergency. our resort office number will also be there for any general enquiries during office hours. our transfer vehicles are all fully air conditioned, the latest models and pass european safety standards. our company provides services for all aspects of you holiday. 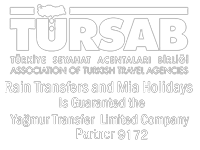 please feel free to contact us regarding hotel bookings, car rental or even excursions and we can make arrangements for you.